Welcome to the website of the St. John's University (Queens Campus) Track Club! Browse the site for contact information, how-to-join instructions, team records, and more! Spring 2019 practices begins Monday, January 28th! We will be meeting at the track Monday- Friday 5pm. Be sure to be added to the mailing list or follow us on social media to get the latest news and updates on the Track Club. ($30 membership fee). Practices for the Fall Cross Country season will begin right after move-in on Monday, September 3rd! If you are interested in joining the team, ﻿please send us an email﻿ (sjutrackclub@gmail.com) so that we can get you all the info you need to know ASAP. Have a great rest of the summer! Spring 2018 practices begins Monday, January 22nd! Normal meeting place @ the lobby of Carnesecca (check the track during basketball games), Monday- Friday 5pm. Be sure to be added to the mailing list or follow us on social media to get the latest news and updates on the Track Club. ($25 membership fee). Cross Country practices will begin on Monday, August 28th @ 5:00! Meet at the finish line bleachers on the track! Bring a water bottle, appropriate running attire, and the $25 semester membership fee. New Members: please send us an email immediately upon reading this to let us know that you plan on participating (sjutrackclub@gmail.com)! Practices for the Spring Track & Field season will begin on Monday, January 30th @ 5:00 in the lobby of Carnesecca (we practice daily on weekdays from 5-6:30)! Our membership fee for the semester is $25. Please bring this with you the first day you attend practice; you will not be able to sign up or start earning attendance credit until you do so. We'll also be having an Information Meeting on Thursday, February 2nd during common hour in DAC 410. The meeting is for old, new, and prospective members alike with the purpose of getting everybody on the same page about the coming season and to give everybody a chance to ask any questions they might have. Practices for the Fall Cross Country season will begin right after move-in on Monday, August 29th! 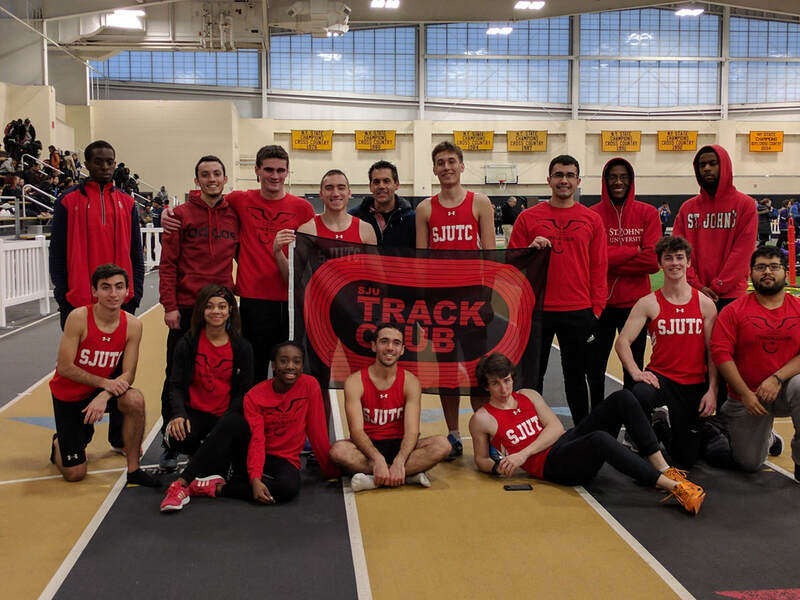 If you are interested in joining the team, ﻿please send us an email﻿ (sjutrackclub@gmail.com) so that we can get you all the info you need to know ASAP! For everybody else, we will be having our official team info meetings during the second or third week of school, with practices for Fall Track starting shortly after. Have a great summer! It is with great pleasure that we announce our official membership with NIRCA -- the National Intercollegiate Running Club Association! With over 25 member teams in the Northeast region, and over 130 teams nation-wide, NIRCA is the official governing body of collegiate club running in the U.S.
NIRCA provides member teams with increased networking opportunities, it assists them in hosting and promoting their own races, and it puts on a series of regional and national championship meets for both Cross Country Running (fall) and Outdoor Track and Field (spring)! We look forward to all that NIRCA has to offer! Welcome to our shiny new website! We hope that you find the changes to be an improvement. Of course, let us know if you have any suggestions for making the site even better!